Lonely Planet’s Best in Travel 2019 is here! And we’re delighted that our nation is on the Top Regions list for the beautiful Scottish Highlands and islands! Ladies and gentlemen, this is Region No. 5. The popular travel guide has listed its “ten regions that are ready for the spotlight”. As usual, Lonely Planet has made some great choices. Each one is definitely worth visiting, judging by the variety of history, culture and beautiful scenery. Although we’re not quite number one on the list, which Piedmont, Italy is, the Scotland’s Highlands and islands are listed as number five! We’re right above the Russian Far East and just below Australia’s Red Centre. What’s so great about the Scottish Highlands and islands? The list item starts by praising Scotland’s whisky: “a thousand years of history and culture distilled.” Lonely Planet seems to like the distilleries up here, and we agree. In particular, Oban Distillery is well worth a visit for the tours and tastings it offers. The item also includes a link to Lonely Planet’s video “Introducing Scotland’s Highlands & Islands”. Give Barcaldine Castle a wave at 1:09! Also linked is their article The Great Glen: coast to coast along Scotland’s rift valley. You may want to have a read and see some of the gorgeous sights included, such as Glenfinnan Viaduct. If that’s not enough, have a look at Lonely Planet’s full Highlands & Islands page to see what else they have to say. Among its ‘top experiences’ is the seafood of Oban. Fancy a trip up to the Scottish Highlands to see what Lonely Planet is talking about? While you’re at it, a stay at Barcaldine Castle will give you an even more memorable experience! Have a look at what else you can get up to when you’re visiting the Highlands. Got any special occasions coming up? Any cool party themes in mind? If not, why not?! Nothing adds to the fun of a party like a gripping theme and an interesting venue. We’d love to hire out our castle for an evening and give you full and exclusive use of this historic building. But what sort of party themes would really do a castle justice? In case you need inspiration for your next event, here are some ideas to suit a variety of tastes. Of all the best and most popular party themes, this is one that we recently brought to life here at Barcaldine. Just last month we held the most fantastic feast in the Seven Kingdoms! Our guests celebrated a 50th nameday in style complete with excellent costumes and a delicious feast prepared by our new chef John Larkins, it was like stepping right into King’s Landing. Any excuse to host another clash of kings would be welcome! Did you know Hogwarts is in the Scottish Highlands? Although the Harry Potter books don’t mention it, J.K. Rowling has told us so herself. The films also use a number of Scottish locations for parts of the Hogwarts grounds. But the real Hogwarts cannot be plotted on a map. Maybe it’s next door to us! Muggles can’t see Hogwarts, but they can still come to Barcaldine Castle for a night of witches, wizards and a magical feast — and maybe try to spot a giant squid in Loch Creran. Of all the party themes we’ve thought of, we’d perhaps like to try this one the most! For an even more magical time, while you’re here, you could even pop up to Glenfinnan Viaduct, where the films showed the Hogwarts Express transporting young students to the famous wizarding school. If you visit during the summer, you can even take a steam train ride on the Jacobite, from Fort William to Mallaig, along the viaduct itself. Check it out and have your own Hogwarts Express journey! And that’s not all. Not far from the viaduct is also Loch Eilt, famous for a couple of Potter scenes of its own — including the breaking of Dumbledore’s grave on the island Eilean na Moine. Another classic way to get that fantasy feel is with a fairy-tale theme and a party in the Great Hall. Dress to the nines and throw an enchanted ball with roaring fires and romantic candlelight. We can’t promise talking candlesticks and tea cups, but we can guarantee you a memorable and magical night! We’re always up for hosting a wicked queen or a sleeping beauty, so be our guest and have your happily ever after. We all love a good ghost story, and a nice gothic evening in the castle can add to the chilling legend surrounding it (especially the Caithness Room). If you’re a fan of all things gothic, you could even pretend you’re in Castle Dracula or the Castle of Otranto. The Black Castle was built between 1601 and 1609 by “Black” Duncan Campbell. During the Union of the Crowns, as it happens. In 1603, Elizabeth I of England passed away; James VI of Scotland quickly succeeded her, uniting Scotland with England and Ireland. What better use is there for Barcaldine than to celebrate our history and keep it alive with a Renaissance-style feast? We also suggest some Shakespeare themes. Did you know The Scottish Play (Macbeth, but don’t say it out loud) is thought to have been first performed in 1606? People often connect the play with King James, patron of Shakespeare’s work. So bring your skulls and go mad, and we predict that you’ll have a great time! Just a few ideas to get you in the party mood. So what are you waiting for? Thinking caps on, and see if you’d like to book Exclusive Use of Barcaldine Castle for your next big event. It’ll be a night to remember! After a lovely breakfast at Barcaldine Castle, wandering and seeing the sights nearby can work up quite an appetite. When it isn’t time for afternoon tea at the castle, a nice meal out should do the trick … and if your adventures take you to the charming town of Oban, you’ll be spoilt for choice. From a variety of cuisines and a range of prices, we’ve selected 10 tasty places to eat in Oban, to help you find what you fancy. If there’s one thing Oban does well, it’s fish. From 11:00am ’til 11:00pm every day, Oban Fish and Chip Shop has plenty of choice, whether you’re eating in or having a simple chippy takeaway. This popular spot on George Street offers pies, burgers, seafood, vegetarian options, and of course some good old fish ‘n’ chips. If you’re eating in, most mains on the menu are £8-13 each. Mussels are offered in various styles for £7-14, or you could share a fried seafood platter for two for £38. A children’s menu is also available, including a fair few popular options, alongside a choice of chips, beans or peas, all for about a fiver each. If you’re taking away, most mains are around £3-7, with children’s options for about £2-5. This charming chippy has been described as “by far the BEST in town” on TripAdvisor, and we think it’s definitely worth a try. Located further down George Street, this handsome restaurant and bar’s name is Gaelic for “big ocean”, which certainly matches its fantastic view of Oban Bay. Open 12:00-9:30pm every day, Cuan Mór’s kitchen uses fresh and locally-sourced produce – including, of course, seafood. It also offers gourmet burgers and steak, salads and low-calorie options, and a selection of other very popular dishes. On the regular menu, most mains are £10-16, and sirloin steaks are £22. There are also set menus, a lunch menu, a gluten-free menu, and more. Cuan Mór also does Meat Free Mondays, a Gourmet Burger Night on Wednesdays, a Steak Night on Fridays, and Seafood Saturdays. Cuan Mór has a well-stocked bar (open 11:00am-late every day) serving the finest local beers, real ales and whiskies, as well as other spirits, wine and cocktails. Meanwhile, their back bar boasts about a hundred single malt and special blend whiskies. We recommend that you book in advance if you want to sample Cuan Mór’s “excellent food and service” (TripAdvisor), but please note that they only make reservations for parties of 5-8 – for any more than that, it’s best to email. Even further down George Street, this mix of Indian, Chinese, Thai and Bangladeshi cuisine is up on the first floor, where its view of Oban Bay is clear and uninterrupted – well worth booking a table by the window (but we recommend booking anyway, even if you can’t reserve a window spot). On Monday through Saturday, Spice World is open 12:00-2:00pm then 4:00-11:00pm, and on Sundays open 12:00-10:00pm, offering its wide range of tasty and spicy dishes along with wine, beer and a full bar. Of its many, many, many main course options, most are £9-12, with rice being about £3. Tucked away up an alley (John Street) from George Street, this café is described as a “vegan oasis”. It’s a hidden gem for those seeking vegetarian, vegan, gluten-free and lactose intolerant options. Apart from catering to these specific diets (for a very reasonable price of around £4-7) and offering a wide choice of teas, The Little Potting Shed Café is very allergy-aware, not to mention dog- and child-friendly, making this a safe and inviting place to eat. Over on the Railway Pier, between the train station and ferry terminal, The Olive Garden is a great place to bring the kids. It offers seafood, risotto, burgers, pasta, pizza, and more. Most mains come at a wide range of prices of £9-21. A seafood platter comes for £28 while prices vary for lobster or steak specials. Their £7.50 children’s menu includes one of several popular mains with juice and ice cream. Apart from its “lovely food and friendly service“, The Olive Garden has plenty to drink. It offers a range of European wines, gins and cocktails, as well as mocktails, non-alcoholic beer and cider, and the best coffee in town. The Olive Garden is open every day: 12:00-2:00pm for lunch, and 5:00pm for dinner (without any rush to finish). There’s plenty of space (though we recommend booking in advance) but, if you prefer not to eat inside this summer, outdoor seating is available 11:00am-10:00pm. A takeaway service is also available for 10% off the menu price. As one reviewer has said, “looks can be deceptive”. This green shack, located between The Olive Garden and the ferry terminal, is simple and truly about the food. Imagine all the fancy restaurant service stripped away until all that remains is excellent food for a good price. Oban Seafood Hut is popular for serving the freshest seafood, expertly prepared and delicious, in cheap but large portions. It has a range of prices, from a £3.50 prawn cocktail to a £29.95 grand platter for two (including lobster). Another TripAdvisor reviewer said, “It’s your own fault if you miss this place.” This seafood hut is open 10:00am-6:00pm every day. There’s no booking – you just turn up, order your seafood, grab a spot at the table, and enjoy. Named the phonetic Gaelic for “fish”, fish is what Ee-Usk, the Seafood Restaurant of the Year, does best. It serves fresh, locally caught fish and shellish, simply cooked to keep their naturally delicious taste. Meanwhile, its floor-to-ceiling windows give its guests a clear view over the bay from the North Pier. Open 12:00-3:00pm (’til 2:30pm in winter) and 5:45-9:30pm (’til 9:00pm in winter) every day, Ee-Usk offers a lunch / early evening set menu (3 courses for £16) 12:00-1:00pm and 5:45-6:45pm. Its à-la-carte mains are normally £13-24, or a grand platter for two is £100, including lobster, oysters, fishcakes, and more. Ee-Usk is normally so busy that we recommend booking in advance. Also please note that children under 12 are not allowed in the evening so, if you have little ones, be sure to go for lunch instead – it will be worth it. Right beside Ee-Usk on the North Pier, this tasty Italian also offers an excellent view of the bay. It offers a selection of pasta and pizza 12:00-3:00pm (2:30pm in winter) and 5:45-9:30pm (9:00pm in winter). Its Italian food and burgers are cooked to order with fine ingredients, with most mains priced at £8-13. 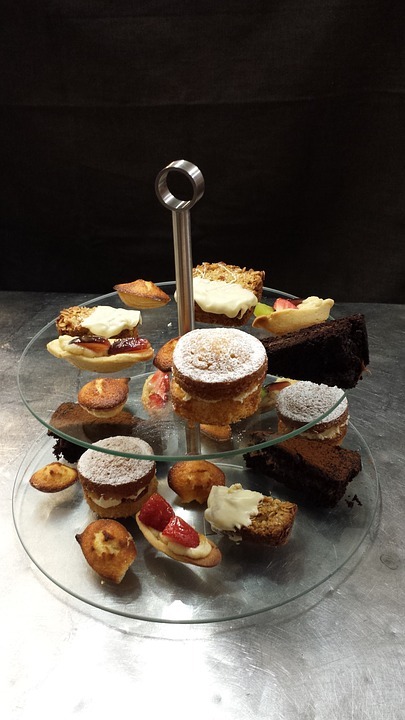 “Lovely food, reasonably priced!” said one TripAdvisor reviewer. As well as food, Piazza has a range of wines, by glass or by bottle. If you’re not stopping for a meal, it offers coffee and snacks from 10:00am. If you’re looking to dine, however, please don’t forget to book. Right in the middle of George Street, in a pretty former bank building, Coast Restaurant is described as the “best restaurant in Oban”. Apart from fish and shellfish, Coast serves meat and poultry, vegetables and herbs, all of which are locally sourced. Its mains are £15-22 (or a fillet steak £28), although its menu changes seasonally, so be sure to check it out. Coast is open for lunch 12:00-2:00pm Monday-Saturday and for dinner 5:30-9:00pm every day. We recommend that you book in advance; please note that children under 10 aren’t allowed in after 7pm and must leave by 8pm. Last but not least, we had to finish on one of Oban’s fishiest places. On the Railway Pier, between The Olive Garden and the ferry terminal, the Waterfront Fishouse Restaurant is up on the first floor. It has a wonderful view of the bay and lots of fish to match! At 12:00-2:00pm and 5:30-9:00pm every day, Waterfront Fishouse Restaurant has plenty to choose from. It has a regular menu of fresh seafood and a non-seafood selection, as well as a gluten-free menu. The fishhouse’s Lunch and Early Evening Menu (12:00-2:00pm and 5:30-6:45pm) offers a starter and main for £14.99. Its regular mains, on the other hand, are all £11-20, except for its £22.99 Scotch sirloin steak. However, its menu changes at least semi-annually, so please check it out on their website. It’s also best to book in advance and to email for parties larger than six, but we think it’s definitely worth it. We hope something jumps out for you to try on your next trip to Oban. Wherever you end up eating, whether it be one of our 10 Tasty Places to Eat in Oban or not, be sure to let us know on our Facebook page! ObanLIVE 2018, the biggest music festival in the Argyll and Bute region! 1) Popularity – The music event was first founded in 2016 when 98% of the 6000 people from all over the world who attended the open-air concert ‘DECADE’ – a 10th anniversary celebration of the trad-fusion band Skerryvore – the previous year called for it to become an annual event. All those people must have been on to something good! 2) Atmosphere – ‘An t-Oban’ may translate to ‘The Little Bay’ in Scottish Gaelic but Oban is still the largest town between Helensburgh and Fort William. During tourism season the humble town can expect up to 25,000 visitors – and ObanLIVE is bound to attract scores of music and culture fans – wouldn’t you like to be part of such an infectiously fun atmosphere?! 3) Venue – Not only has Mossfield Stadium served as an ideal venue for ObanLIVE 2016 and 2017, it also has some great history behind it, earning itself a reputation for being a famous Shinty ground. (Similar to hockey but with taller goal posts, Shinty is a Scottish twelve-a-side game originating from the Irish sport, ‘Hurling’). 4) Line Up – As diverse and talented line up awaits you! From contemporary Celtic band, Skipinnish, who have enjoyed a brilliant year in 2017 headlining some of Britain’s biggest festivals, to gifted guitar, harmonica and trumpet player, Susan O’Neill, the line-up for ObanLIVE 2018 is guaranteed to satisfy everyone’s musical palette. 5) Fringe Events & Sightseeing – With the gates to ObanLIVE 2018 not opening until 4pm each day, it’s not all nightlife. There are great opportunities to explore the beautiful bay of Firth of Lorn and even the Island of Kerrera (be sure to check out the ruins of Gylen Castle) and mountains walks up Morvern and Ardgour. If you’re a fan of malt whisky you could pay a visit to Oban Distillery. If you appreciate iconic landmarks you could also visit McCaig’s Tower, a prominent fixture on the Oban horizon. To embrace your inner dare devil and sea life lover you could embark on a Basking Shark Scotland day tour! 6) Local Cuisine – Known universally as the ‘Seafood Capital of Scotland’, if you’re a fan of fish food you’re sure to be in your element when you visit Oban with many fresh fish and shellfish making an appearance on restaurant menus and the mussels and oysters from Argyll considered to be among the best in Scotland. A variety of food vendors and a bar will be inside the festival venue. 7) Open to Everyone – ObanLIVE is a wheelchair accessible event (though caution should be taken if conditions get muddy) and children are welcome if accompanied by a ticket holding adult (a maximum of 4 children per adult) – so everyone can enjoy the fun that the festival promises! 8) Convenient – Whilst there is no parking at the venue or on nearby roads, there is parking available in Oban town. It is recommended that you walk the ObanLIVE trail and take the short walk to Mossfield Stadium. A special late-night bus service will operate at 00:15am over both festival nights for people travelling home to Glasgow after the music festival. 9) Summer Fun – A festival is always a great way to let your hair down and enjoy being outdoors, especially when it’s a Scottish festival boasting all the great bands, artists, food and sightseeing already mentioned! 10) A Memorable Stay – If you choose to book a stay at Barcaldine Castle – which dates back to 1609 – we’ll ensure you’ll enjoy a luxurious and unforgettable stay. To book tickets for ObanLIVE 2018 click here or to make a reservation click here. As we mentioned last month, although our rooms are luxurious, and our castle grounds are beautiful, it would be a waste to visit Oban and not venture out and visit new places. Following our February Part 1 Guide of things to do and see when you stay at Barcaldine Castle, here are even more ideas to get you excited for your visit! Built in the 13th Century, at the height of the battle between Scotland and Norway for the control of the Hebrides, Dunstaffnage Castle is one of the oldest stone castles in Scotland and was in royal hands until 1469. You can climb up to the battlements to take in the strategic positioning of the stronghold, stand in awe of the curtain walls, search for the 13th century chapel in the trees or snoop around the three-storey gatehouse! 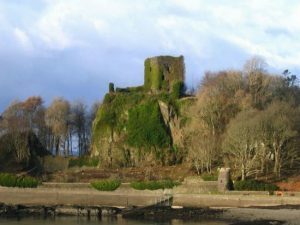 Dunstaffnage Castle is a 15-minute drive from us. Why not visit when you stay at Barcaldine Castle! Tickets start from £3.60pp for Dunstaffnage Castle.The castle is open 10am-4pm every day except Thursday and Friday. Ideal for short walks, cycling and horse-riding, Fearnoch Forest is less than a 20 minutes’ drive from us, so why not visit here when you stay at Barcaldine Castle! You can take a wander around the scenic woodland and its fantastic network of peaceful forest roads? Described on the website as: “wide, firm gravel surface throughout. Long moderate slopes with some short, fairly steep sections,” the trail is around 1.75 miles/2km, so allow at least 45 minutes! Described on the website as: “Wide, firm gravel surface throughout. Includes some steep slopes and a wide bridge” The trail is around 2.25 miles/3.8km, so allow at least an hour and a half to complete it! Address: PA35 1JB is the nearest postcode if you’re using a Sat Nav. The car park is at grid reference NM 968 321. Hidden on the banks of Loch Awe you’ll find St. Conan’s Kirk. 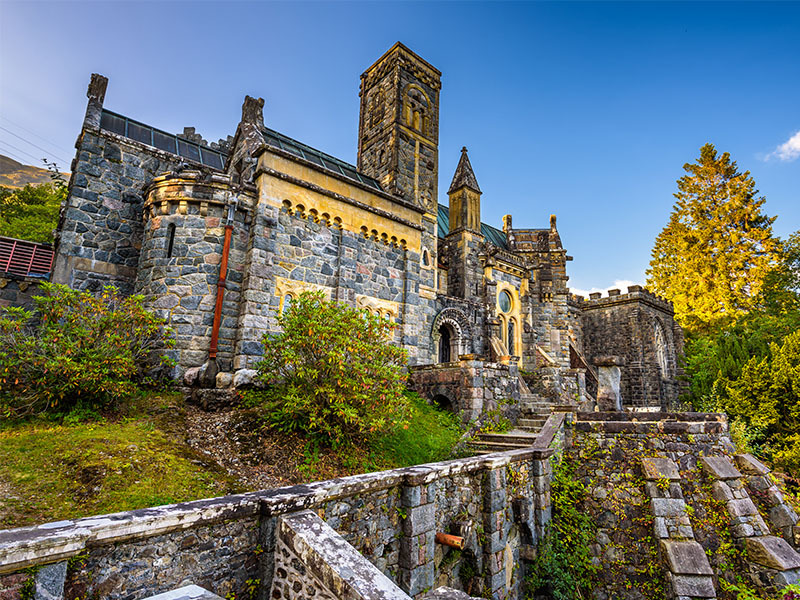 The Kirk is a 35-minute drive from Barcaldine Castle and it’s one of Argyll’s most popular tourist destinations providing an enchanting experience to both the local community and visitors of all ages. During the Summer the Kirk is open from 9am until 6pm and 9am until 5pm throughout the Winter, however, it can also be closed for events so always check before visiting! From April until September, the Tearoom is open from 10:30 until 5pm. Entrance to the Kirk is by donation which goes towards the restoration and upkeep of the Kirk. The Friend’s of Saint Conan’s Kirk are always happy to give tours to people or interested parties who wish to learn more about the Kirk’s rich and intriguing history. Please call 01838 200210 to book a tour, if you are planning to visit Loch Awe or Saint Conan’s Kirk. Address: St. Conan’s Kirk, Lochawe, Dalmally, PA33 1AQ. Sutherland’s Grove is just a short 10-minute drive from us, so why not take a stroll when you stay at Barcaldine Castle! Its forest walks cover trails and waterfalls to bridges and streams– there’s something for everyone! Why not enjoy a riverside stroll through Sutherland’s Grove? An easy trail, described on the website as: “A wide, firm surface. Generally flat with short gentle gradients.” This trail is around 0.25 miles/0.3km, so allow at least 15-minutes. A strenuous trail, described on the website as: “A varied route with, some steep, rough and rocky sections. Can be narrow in places. Often wet and muddy after rain.” The trail is around 0.75 miles/1.3km, so allow around 45-minutes to complete. A challenging trail, described on the website as: “A varied route with, some steep, rough and rocky sections. Can be narrow in places. Often wet and muddy after rain.” Allow at least 45-minutes to complete it, with it being around 0.75 miles/1.3km long. Not for the faint hearted, the trail is described on the website as “Varied with some fairly steep, rough and rocky sections. Can be narrow in places. Often wet and muddy after rain. One bridge with a steep narrow flight of steps.” Allow 1 hour and 25-minutes to complete this trail as its at least 1.75miles/3km long. 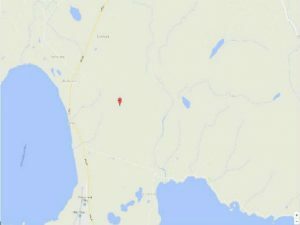 A demanding yet rewarding trail, described on the website as “Generally firm, smooth and wide forest road, with moderate to fairly steep gradients. 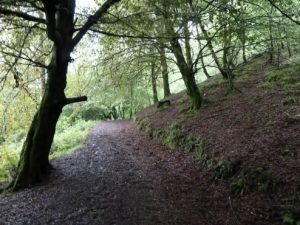 The start and finish to the route is narrow and steep, with rocky uneven sections, often wet.” It’s around 2.5miles/4.2km long, so allow at least 1 hour and 45-minutes. Quiet beach in Oban with lots of surrounding greenery and just a 5-minutes’ drive from us, perfect for when you stay at Barcaldine Castle! Tralee Beach has sand dunes at one end and shingles at the other. There is a signposted footbath Benderlock and is just a short walk from the town where there’s a car park amongst cafes and shops. Take a look at our other blog posts to find great places to go, and things to do, when you stay at Barcaldine Castle! 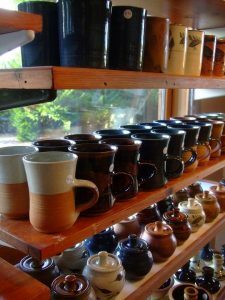 Argyll Pottery is a unique and quality local craft, gift and specialty shop selling a range of pottery that’s made in the workshop located behind the shop by the owner! 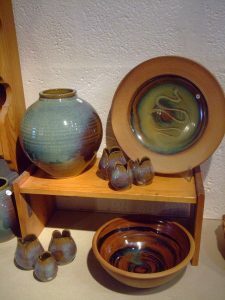 The handmade pottery is mainly for domestic use and comes in 3 different finishing styles. The pottery on sale is useable and decorative, whilst being reasonably priced! 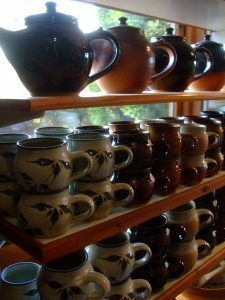 With all kinds of pots, cups, goblets, candle holders, plates and dishes, as well as woodworked trinkets and gifts, you’re unlikely to find the likes of these anywhere else. There is lots of room for parking and it is wheelchair accessible. It’s a 5-minute drive from us at Barcaldine Castle – or if you’re up for it, it’s a 2-mile walk! It’s a must-see when visiting the West-Coast of Scotland that’s open 10am until 5:30pm! So why not visit Argyll Pottery and buy yourself a lovely hand-made piece of pottery as a reminder of your wonderful trip to Barcaldine!? Less than ten minutes’ drive from Barcaldine Castle, Beinn Lora is only 308 meters high, but guarantees a wonderful view. 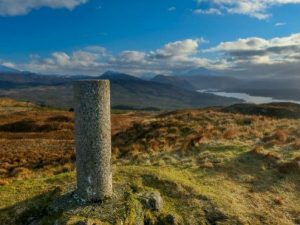 There are two trails that are most popular for strenuous workouts for local hill runners, however, they also provide access to the hill path leading to the steep grassy summit of Beinn Lora. Coastal Climb Trail – which is a short, yet steep hillside climb that provides sea views across Tralee Bay and the Lynn or Lorn. Online it is described as: “Wide, firm but uneven gravel and earth surface. Long steep slopes with some loose sections”. The trail is around 1 mile or 1.8km so allow at least 3/4 of an hour! Eagle’s Eyrie Trail – which is a steep, yet spectacular trail that provides bird’s eye view of Mull, the Lynn of Lorne, Lismore, the Ardnamurchan peninsula and the hills north of Appin! According to the website, the trail features “Long steep slopes for 500m. Wide, fire gravel and stone surface with some uneven and loose sections”. The trail is around 2 miles or 3.3km so allow at least an hour and a half for this trek! The trails are suitable for fit and experienced walkers and the routes are not signposted, so a map and compass will be necessary! Castle Stalker is originally believed to have been the site of a Fortalice (a small fortified building) and dates back to the 14th century! This four-story tower house is set on a tidal islet on Loch Laich. The castle is privately owned; however, they do run a limited number of tours each year, which can be arranged by appointment. Tours are subject to weather conditions. Opening dates for tours of the castle are to cover most of the season from April to October. There will be a maximum of one tour per day, which will include the trip over the water to the castle in their new boat and a personal guided tour of the castle provided by a member of the Stewart Allward family who are the present owners of the Castle. Please note that the new boat has seating for up to 12 passengers and, therefore the size of each tour is limited to that number. You should allow up to two hours for the tour, including the boat trips. The Castle is situated in Appin on the A828 between Ballachulish and Connel just north of Oban, just a quick 15-minute drive from us at Barcaldine Castle! The Jacobite is a steam locomotive hauled tourist train service that operates over part of the West Highland Railway Line, Scotland. This 84-mile round trip takes you past a list of impressive extremes. Starting near Ben Nevis, the highest mountain in Britain, it then visits Britain’s most westerly mainland railway station, Arisaig; passes close by the deepest freshwater loch in Britain, Loch Morar and the shortest river in Britain, River Morar, finally arriving next to the deepest seawater loch in Europe, Loch Nevis! A steam train journey from Fort William to Mallaig taking in the some of the most breath-taking scenery in Scotland, the journey includes the Glenfinnan viaduct of “Harry Potter” fame and runs from May till late October. Please note: Your ride on The Jacobite must be booked ahead especially during peak season! 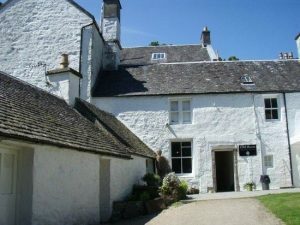 The Dunollie Castle, Grounds and Museum is open from 1st April – 28th October 2018. There you can enjoy a 1745 House Museum, Castle Ruin, Drapers Shop, Kettle Garden Café, Weaving Shed and Woodlands! For the months April and October, they are open Monday – Saturday 10am ‘til 4pm and Sunday 12pm ‘til 4pm, with the last entry being at 3:30pm. During the remaining months from May to September, they are open Monday – Saturday 10am ‘til 5pm and Sunday 12pm ‘til 5pm, with the last entry being at 4:30pm. 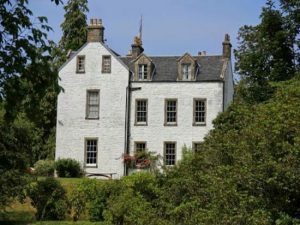 With it only being a 20-minute drive from us at Barcaldine Castle, why not go visit!? Check back next month to our blog for Part 2 of our guide of things to do and see when you stay at Barcaldine Castle!